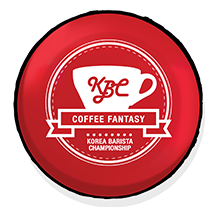 Contestants make, showcase, and explain their unique espresso, cappuccino, and signature menus, among others, to win the hearts of the judges. For their blended coffee beans to appeal to the judges and audience, contestants present their coffee in a much more creative and elegant manner than before. They start by demonstrating with personally selected music playing in the background, and then by elegantly extracting espresso and performing to emphasize the appeal of their diverse signature coffee and draw the spectators’ attention.